Preheat oven to 350 degrees and prepare an 8×8 inch baking dish with cooking spray. With an electric mixer, combine the sugar and melted butter until smooth. Add the eggs, one at a time, and mix until combined after each addition. Add the vanilla and combine. On low speed, mix in the cocoa powder, followed by the flour, baking powder, and salt. Next, add 3 tbsp. of blackberry jam and beat until completely combined. Pour into your square baking dish, and place in the center of the oven. Bake for 25-35 minutes or until a toothpick inserted into the center comes out clean. When the brownies are done baking, pull out of the oven and place on a heat-proof surface. Spread the remaining 2 tbsp. 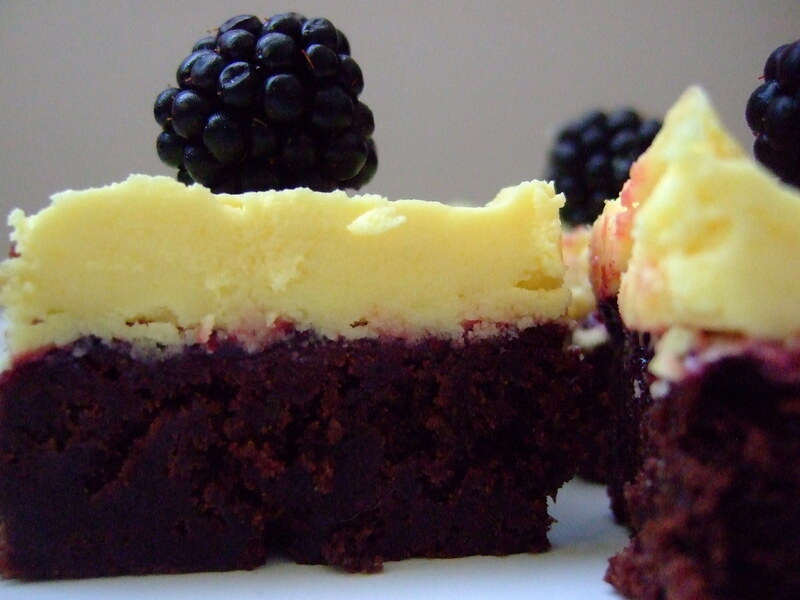 of blackberry jam across the top of the hot brownies. Cool completely and then place in freezer for the jam to slightly harden before covering with lemon frosting. With an electric mixer on low speed, combine the butter and confectioners until smooth and creamy. Cut the lemon in half, and squeeze into the mixer. Mix to combine. Finally, add the vanilla and salt and beat until smooth. Carefully frost the brownies after the jam has slightly hardened from the freezer. Allow the brownies to come to room temperature before enjoying. 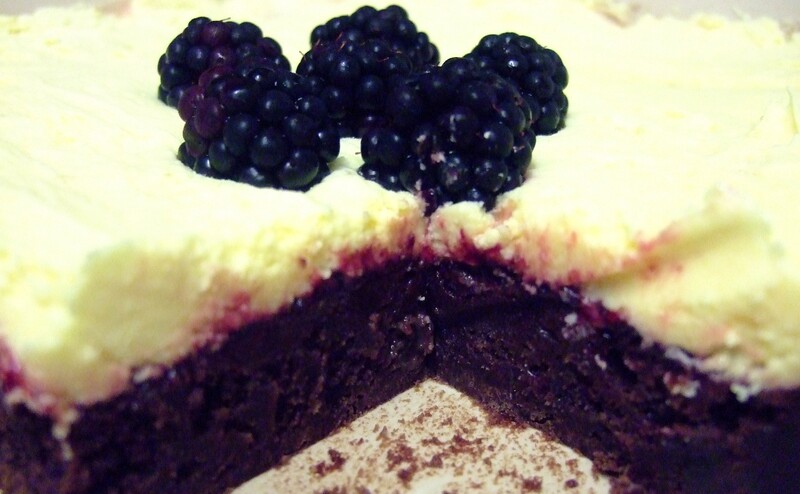 Decorate with fresh blackberries.